Set up as a joint initiative by the Istituto Italiano per gli Studi Filosofici of Naples, and the Fondazione Lelio Basso-Sezione Internazionale of Rome, the Neapolitan School of Studies on the Rights of Peoples is holding its thirteenth course from 22 to 27 September 2008 in Rome. Title: The human species faces ecology: the energy issue and climate change. After exploiting the planet’s resources for centuries, human societies have now reached a decisive moment in their existence: the effects of climate change caused by heightened concentrations of carbon dioxide make it essential to drastically re-think the use of fossil fuels. But the energy issue has long been at the roots of lethal geopolitics. It is possible – and necessary to change production and consumption patterns and life-styles to avoid the prospect of a traumatic collapse of our societies. But, as all the leading scientific academies have been insistently demanding of the world ‘governance’ authorities, to do this requires a full realisation of issues by politicians, which is wholly inadequate at the present time. Hence the need to inform and educate public opinion, and particularly the decision-takers. Participants are required to attend all lectures and seminars. They will receive a Course attendance certificate. Art. 1 – 20 participants; resident in the EU countries graduates in law, economics, physical sciences, international relations, sociology, anthropology, medicine may enroll for the Course. Art. 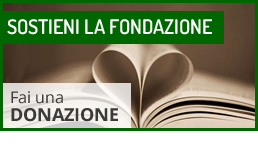 2 – Applications must be mailed to: Fondazione Lelio Basso-Sezione Internazionale, Via della Dogana Vecchia 5, 00186 Rome, Italy. Telephone and Fax: 003906-6877774. – their academic qualification/ education degree(s) and courses they will be attending during the 2008-2009 Academic Year. – a letter of introduction from a Professor. Art. 4 – Applicants must have a good knowledge of the English language (spoken, written, reading). Art. 5 – The required documents must arrive by mail no later than 10 July, 2008 at the address given in Art.2. Art. 6 – Applicants will be notified of the results of the selection by 20 July, 2008. Art. 7 – Each participant will receive a grant of Euro 1.000,00 to cover travel and accomodation expenses. Participants are required to attend all the lectures and seminars. They will receive a Course attendance certificate. Giorgio Nebbia: Ecology as the culture of modernity – debate. Gianni Mattioli: Introduction. The energy issue – debate. Nicola Capone: Naples, World Laboratory on Environmental Problems. Gerardo Marotta: Need of a United European Action to sanitize the territory of the Mezzogiorno. Italy polluted by toxic waste coming from different places. Prof. Giorgio Nebbia: Faculty of Economics – Bari University. Prof. Gianni Mattioli, Massimo Scalia : Faculty of M.F.N. Sciences – ”La Sapienza” University of Rome; co-Chairs of the Scientific Committee of the United Nations Decade of Education for Sustainable Development (DESD). Prof. François Rigaux: Faculty of Law – Catholic University of Louvain; Member of the Académie Royale de Belgique, Director of the Classe des Lettres et des Sciences morales et politiques. Dr. Gerardo Marotta: President Italian Institute for Philosophical Studies, Naples. Prof. Nicola Capone: Secretary General of the Assembly of the City of Naples and of the Mezzogiorno, Professor of Philosophy and author and editor of philosophical texts. Prof. Vincenzo Naso: Faculty of Engineering – ”La Sapienza” University of Rome; President of CIRPS: Interdepartmental Centre of Research for Sustainability. Prof.Giorgio Ruffolo: President of the European Research Centre and author of the book, ”Capitalism’s days are numbered” – Einaudi, 2008. Prof. Andrea Masullo: University of Camerino and author of ”The challenge of the caterpillar” – Muzio editore, 2008.